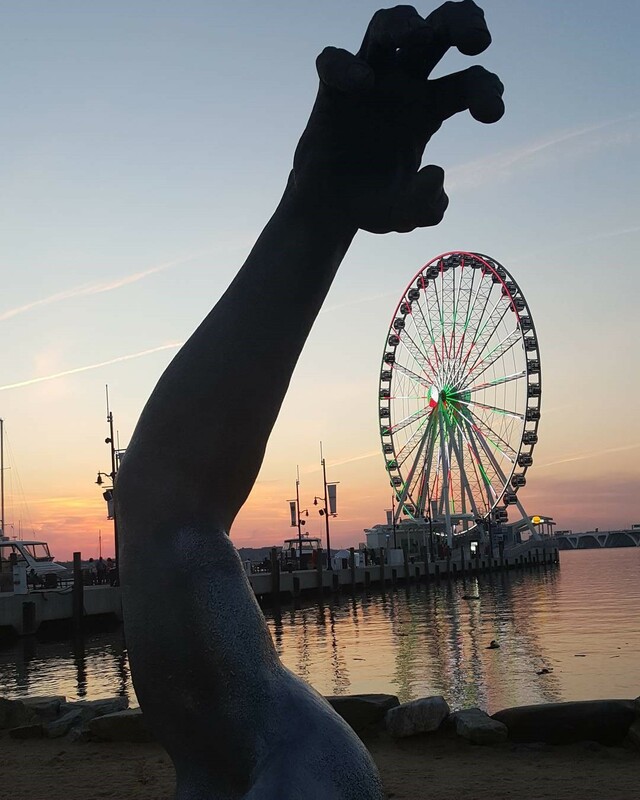 The hand of The Awakening Statue – The Capital Wheel in the background. National Harbor, Maryland. This entry was posted in Photography. Tagged Attractions, Fun, Maryland.